A professional Wellington-based wedding and family portraits photographer. 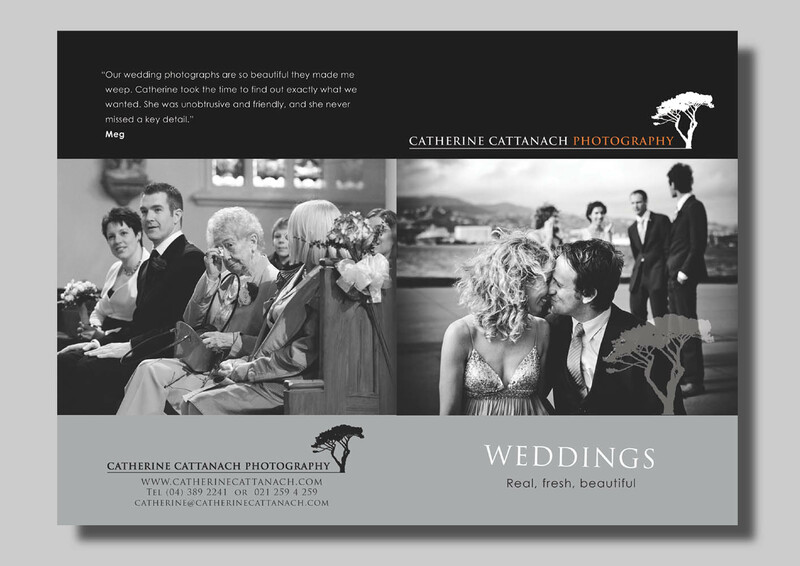 Catherine required an illustration for her brand and an A5 promotional flyer. Brief: To design a brand the client required an illustration of a macrocarpa tree. The client wanted the brand to be simple and clean cut. 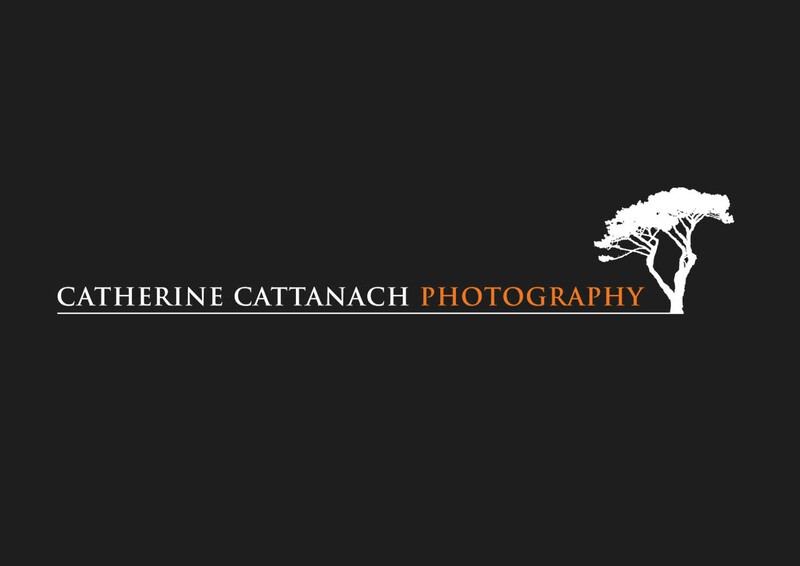 The brand needed to be able to be made small in one colour so it could be used as a watermark over the photos. Solution: The ‘look and feel’ was created by creating a simple illustration of a macrocarpa tree silhouette and incorporating it into the brand design. Project: Brand Design and Promotional Brochure. 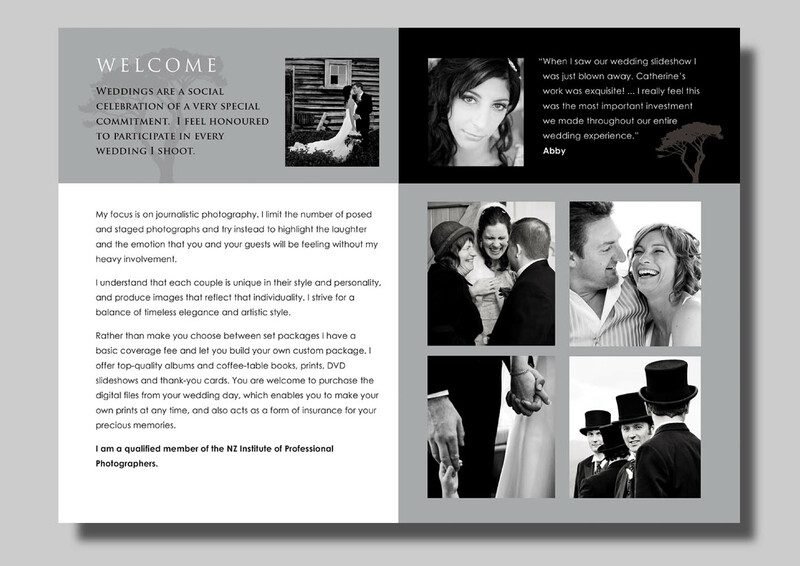 Format: Double-sided A5 landscape Promotional Flyer. Brief: To design a promotional flyer, the client requested the layout to be simple and clean cut. Solution: The ‘look and feel’ was created by incorporating her professional photos with a simple layout of solid blocks of grey and black.